This 3 Peice set Includes: 1. 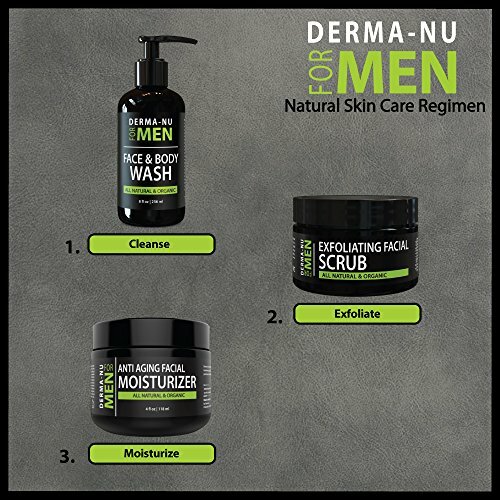 Derma-nu Daily Facial Cleanser & Body Wash for Men - a premium bath product just for men. This is an all-in-one Body Wash for Men and Facial Cleanser for Men eliminates dirt and grime, leaving the skin rejuvenated and refreshed. 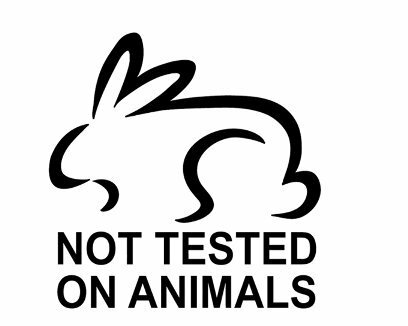 Gentle enough to use many times throughout the day but tough enough to fight the daily dirt and grime. 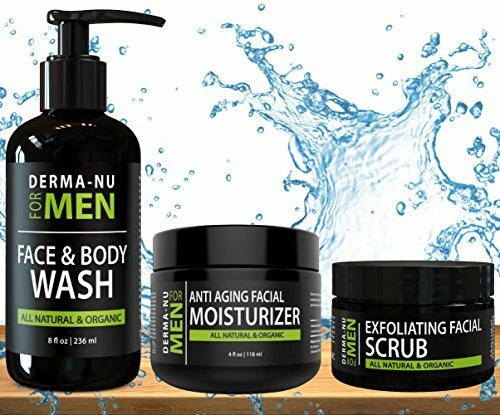 Leave you looking and feeling awesome. -2. 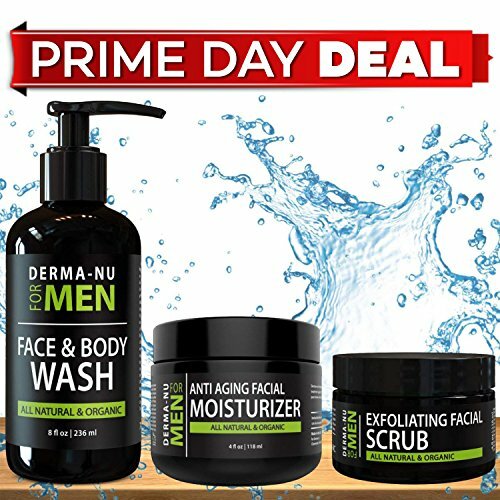 Derma-nu Men's Anti Aging Facial Moisturizer & Aftershave Lotion all-in-one - A Gentleman's anti aging face cream to help fight wrinkles and other signs of aging, fuel the skin and defend against environmental and sun damage.